Visible as a faint "cloud" in the night sky of the southern hemisphere straddling the border between the constellations of Dorado and Mensa, the Large Magellanic Cloud (LMC) is a nearby galaxy, and a satellite of the Milky Way. At a distance of about 50 kiloparsecs (≈163,000 light-years), the LMC is the third closest galaxy to the Milky Way, after the Sagittarius Dwarf Spheroidal (~ 16 kiloparsecs) and the putative Canis Major Dwarf Galaxy (~ 12.9 kiloparsecs, though its status as a galaxy is not certain).Its visual diameter is more than 20 times the width of the full moon. 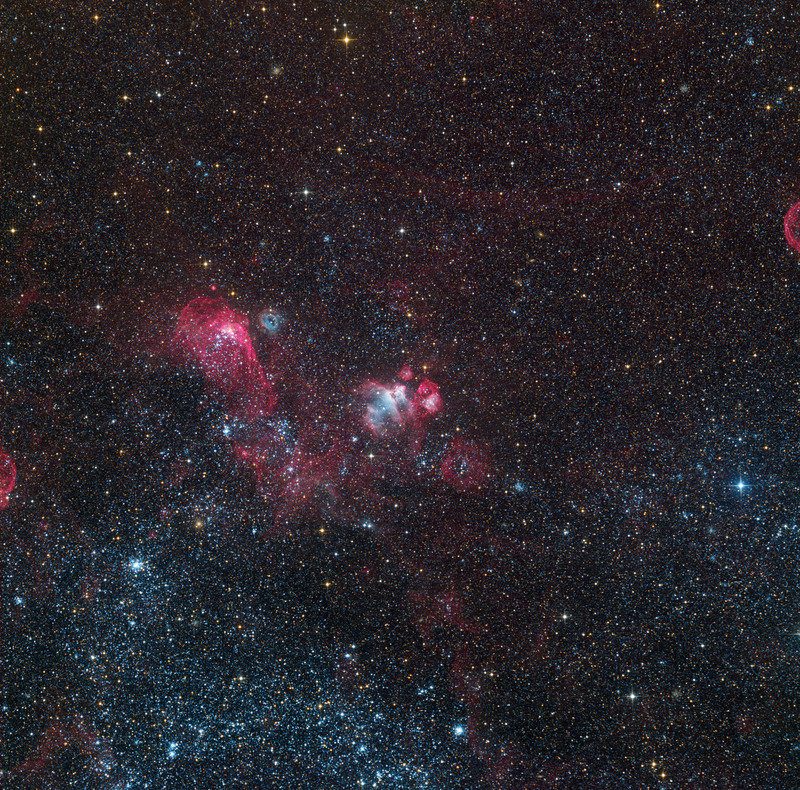 This image shows a part of LMC and includes several emission nebulae and star clusters. L:3x10min,R:3x10min, G3x10min, B:3x10min,B:3x15min, Bin 1 Total Exposure Time 165 min.